Most Russians are expecting the European Union to extend sanctions against Russia this summer. 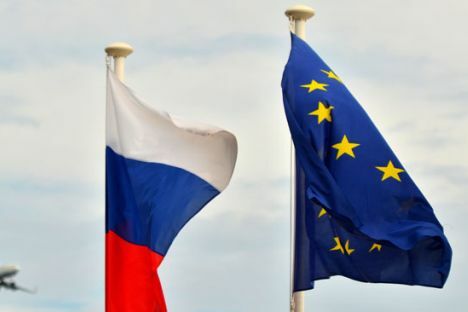 Most Russians (71 percent) are expecting the European Union to extend sanctions against Russia this summer, and 15 percent claim the opposite, the Levada Center told Interfax. Fourteen percent of 800 respondents polled in 137 populated localities in 48 regions on May 27-30 could not predict what the European authorities would do. The share of Russians who think that the country should carry on its policy despite the sanctions has grown from 65 percent in November of last year to 75 percent now. Still, 17 percent believe that Russia should look for compromise and make concessions in order to be relieved of the sanctions (26 percent in November). Who are Russiau2019s greatest enemies, according to Russians? A third of respondents (35 percent) explain the limited choice of food in stores and growing food prices with the Western sanctions. The number of those who blame the Russian countersanctions is twice as small (16 percent). Another 40 percent believe that the lesser assortment of food and growing prices are not related to either factor, and 9 percent are undecided. Some 47 percent feel positive about the idea of lifting the ban on food imports from the European Union, 40 percent feel negative, and 13 percent are undecided. Some 74 percent of Russians think that it would be possible to largely substitute imports of food in the upcoming years; 54 percent say so about medicines and 52 percent about clothes and footwear. Russians are more pessimistic about the possibility of substituting imported household appliances, computers and communication gadgets - 33 percent say this may happen in the near future, and 51 percent argue that substitution would be inconsiderable or even minuscule.